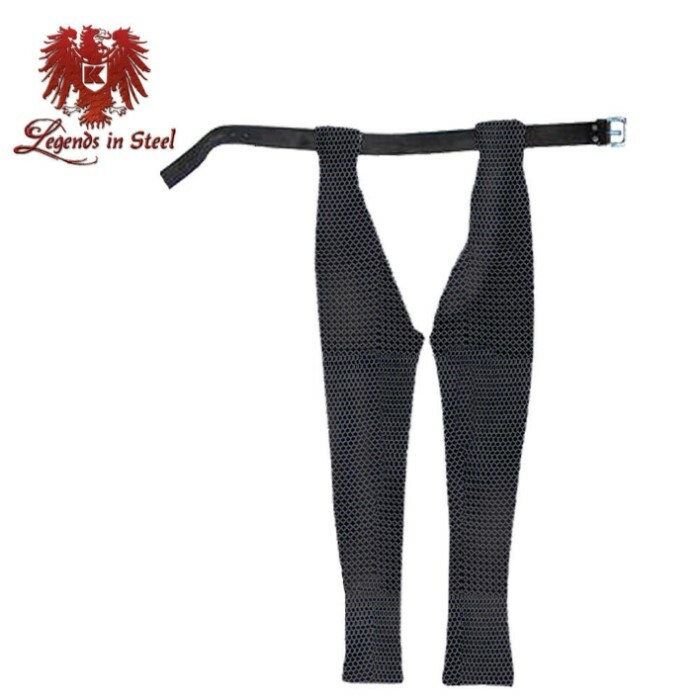 Legends in Steel Black Chainmail armor pants | BUDK.com - Knives & Swords At The Lowest Prices! Chainmail chausses, or leggings, were one of the earliest forms of leg armor that provided substantial protection from bladed weapons. This version covers the front of both thighs and the front and back of the lower leg. It is constructed with zinc-plated 18 gauge steel finished in a black finish in the traditional 4-in-1 linked pattern.